Search engine optimization at Gorilla Placement is done without shortcuts and with the highest integrity in the SEO business. 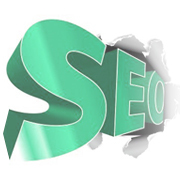 Our SEO company has spent years working with Google algorithms to perfect placement on the web for our customers. There are no shortcuts to good SEO, it takes knowledge and lots of hard work and this is where other internet marketing firms fail but we do not stop until your ranking is on top of page 1 and even then we continue working to keep you separated from your competitors. We are consistently rated near the top for rankings on Top SEO’s. At the beginning of the SEO project, one of our SEO experts will review your website and identify which areas need optimization to make the site more search engine friendly. We look for potential problems like duplicate content, session ID numbers, flash content, dynamic content and code errors which prevent websites from being indexed in Google, Yahoo or Bing. In addition, we will review your keywords and use keyword research tools to create a list of the most searched terms on the internet for your industry.